About 30 km from Angkor Wat, Banteau Srei Temple was built of red sandstone in 10th century. 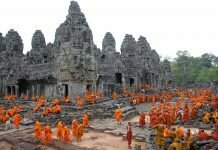 This ancient temple belongs to Angkor Thom temple complex worshipping Shiva of Hinduism. It was discovered in late 1914 by French archaeologists after decades of being forgotten. Although the temple is not too large but the impressive carvings and ruins still attract a lot of visitors coming to explore. Wildlife Alliance set up a wildlife rescue center to ensure that animals rescued from the illegal wildlife trade receive proper care for recovery. These animals will be raised and nursed before they can get back into the wild. Visitors can come here to watch the animals and know more about their lives. Located about 40 km from Kampot town, Bokor Mountain is the best place to take a day trip. On the way going to the mountain’s top, travelers will have the chance to visit beautiful waterfalls and Buddha statues. In addition, Bokor Hill Station is also an interesting place to visit in here. This building was originally built as a destination for relaxation of the French at the beginning of the twentieth century, but now it is just ruins. Traveling to Kampot, do not forget to take a visit and relax on Kampot River. Sabay, Beach Green House, Champa Lodge are the resort near the river offering accommodations, foods and drinks for tourists who have the need of staying in here. This is an ancient site that deserves a visit during your trip in Cambodia. About 40 km from north of Phnom Penh, Oudong was the capital of Cambodia from 1618 to 1866, under the reign of many kings. You can explore the shrines and hundreds-year ruins in here. Kampong Som is one of the tourist attractions in Cambodia that is highly appreciated both in tourism services and landscapes. 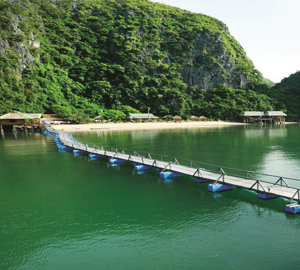 Located in the Gulf of Thailand, about 200 km from south of Phnom Penh, Kampong Som is the best place to avoid the heat in the summer where you can enjoy swimming with fine white sand and clear blue water. 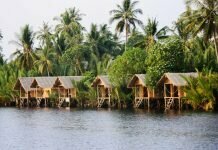 Koh Rong is not too far from the Kampong Som, only about 20 km by boat, so if you visit the coastal city of Sihanoukville, do not miss the Koh Rong Island. 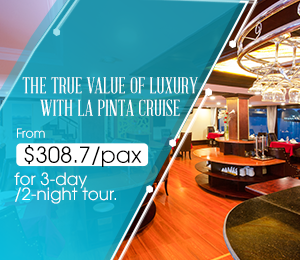 The island with beautiful beaches and delicious seafood will surely leave you with a lot of unforgettable memories. There is another island you also can visit is Koh Rong Samloem. Featuring beautiful scenery, blue sea water, coming Koh Rong Samloem Island, you will be immersed yourself in quiet and peaceful space that hard to find at anywhere else. This is the next destination in Cambodia that we recommend to you. Tonle Sap is the largest freshwater lake in Cambodia as well as Southeast Asia, less than 10km from Angkor Wat and Angkor Thom. This freshwater lake provides a great source of fish, fresh water and silt for people in Siem Reap. The best time to visit the lake is in the rainy season; besides watching floating villages and learning more about daily life of people, you also do not forget to try the specialties in here. Silver Pagoda is an extremely famous Buddhist temple in Cambodia with impressive architecture and the golden Buddha statue which is decorated with 9584 diamonds. Also known as Wat Preah Keo Morakat by locals, this temple is located in the Cambodian royal palace complex in Phnom Penh. Only having to pay about 6 USD, visitors will be enjoyed the majestic beauty of the Cambodian royal palace, the tombs, palaces and of course, the Silver Pagoda. Remember to dress appropriately when visiting the temple. The temple opens from 8am to 11am and 2pm to 5pm daily. 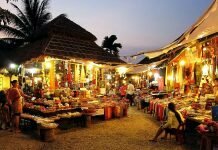 If you would like to read more about places to visit and travel guides in Cambodia, you can visit our website. Hope that with our guides, you will have a great trip in Cambodia!